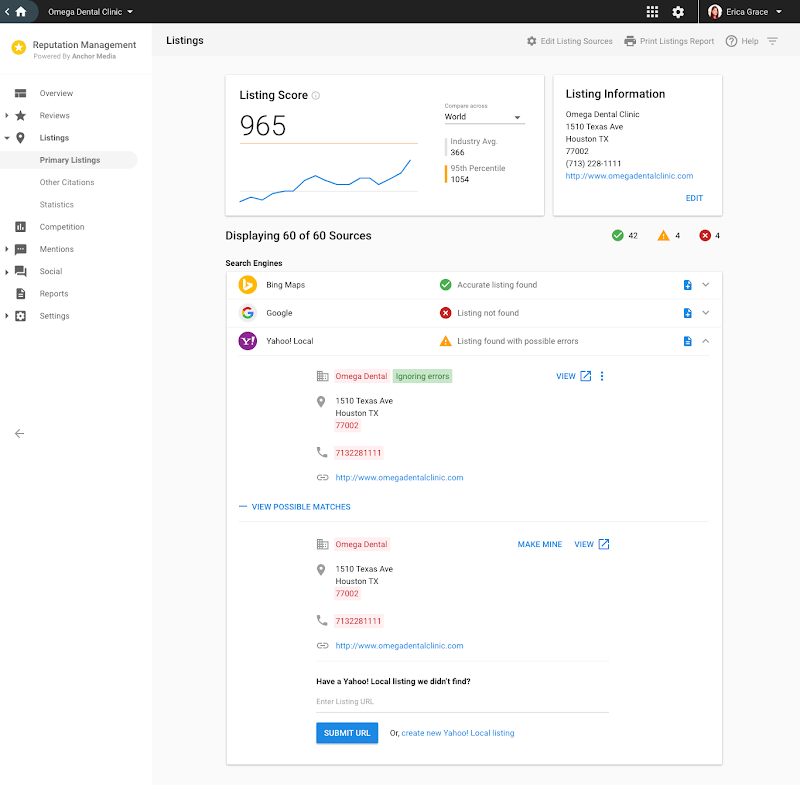 Reputation Management is white-labelled software that allows your agency to monitor and manage every aspect of a local business’ online reputation – including reviews, listings, and mentions. 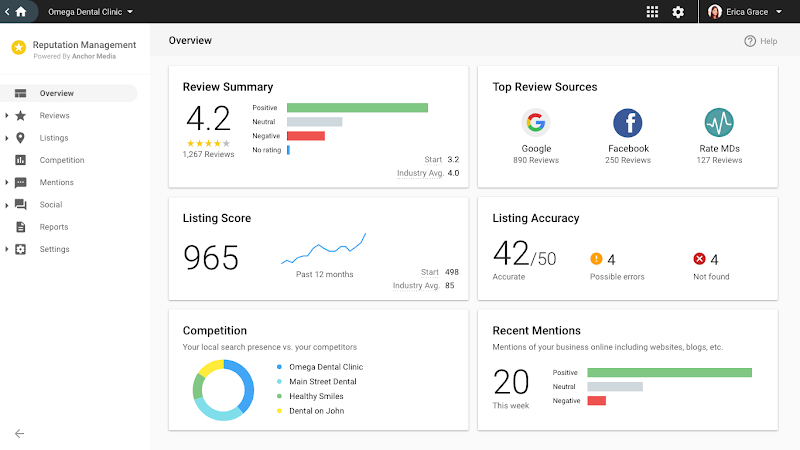 Give your clients insight into what the online community is saying about them—monitor customer reviews, and get notifications whenever their business is mentioned on the web. It also identifies missing or inaccurate online listings, allowing you to improve their visibility in local search. 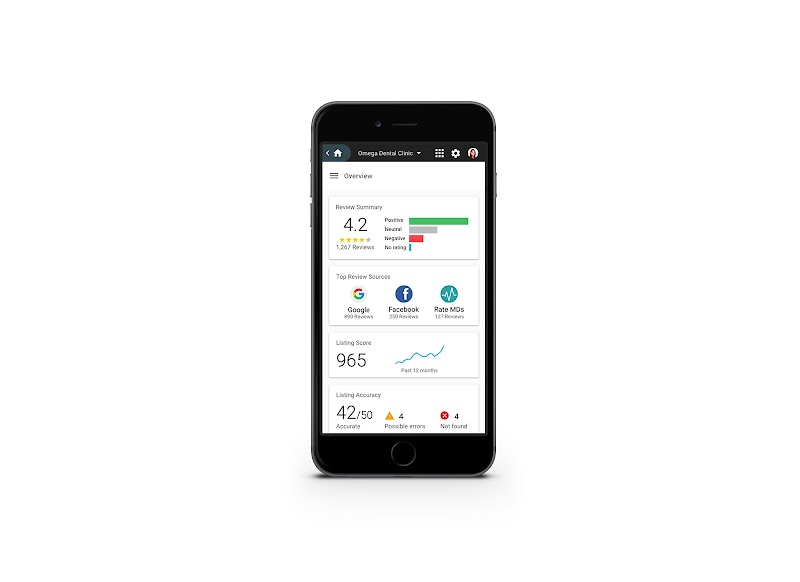 Get automated alerts when new information is found, and receive weekly progress reports that make it easy to show your agency’s return on investment. Reputation Management brings all of the factors that contribute to a local businesses online presence into one place, so you and your clients can take control of their online reputation. Compile reviews from dozens of sites so you can easily see what’s being said about a business online. Improve search rank by identifying online business listings that are inaccurate or missing from essential directories and online listing sources. Monitor where a business is mentioned in a variety of sources, including news sites, blogs and social networks. Plus, highlight the most positive and negative mentions using automated sentiment analysis. 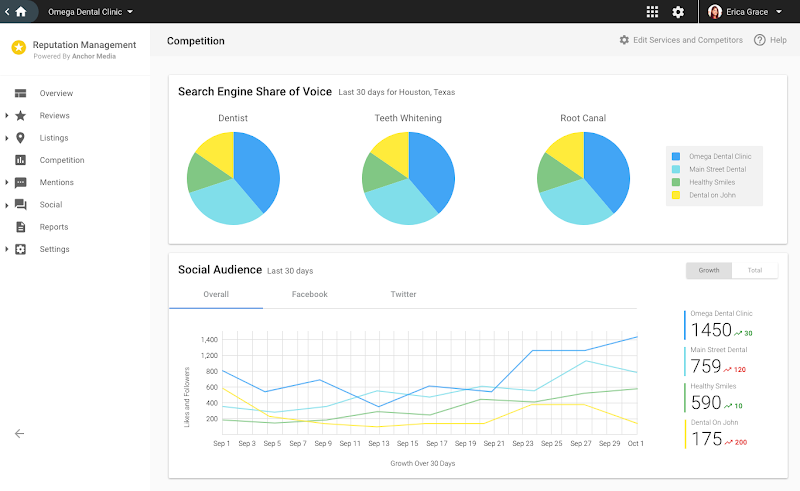 Use competitive benchmarking to see how a business stacks up to the competition on social media outlets and local search. Rapid Reviews scans the web for new reviews twice a day - helping you stay up to date and respond to your client’s reviews quickly. 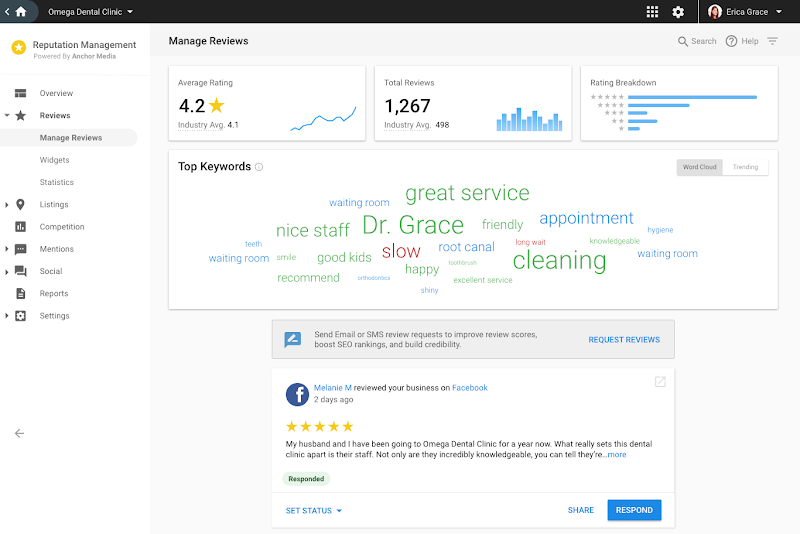 Display reviews from popular sites like Facebook, TripAdvisor, and Google on your clients’ websites. Compile reviews from dozens of sites so you can easily see what’s being said about a business online. Plus, use competitive benchmarking to see how they stack up to the competition. Improve search rank by identifying online business listings that are inaccurate or missing from essential directories like Google, Facebook, and Bing. Monitor and get alerts when the business is mentioned in a variety of sources, including news sites, blogs and social networks. Plus, highlight the most positive and negative mentions using automated sentiment analysis. Keep on top of online activity affecting the reputation of a business, including reviews, listings and social media, helping you make expert recommendations, and provide proof-of-performance. Your agency logo, your name, your colors, your price. Reputation Management is 100% white-labelled, giving you a profitable way to provide reputation management services under your own brand. Online reputation management that adapts to you and your client’s needs: Manage a business’s reputation together with them, do it all for them, or let them do it all themselves. Managing the reputation of multiple clients requires coordination and efficiency. With Concierge, your team will be able to manage all of your clients’ reputation effortlessly. Resell reputation management under your agency’s brand and price. It’s easy. Create your free account. Build your online store. Generate leads with our automation tools. Start selling.